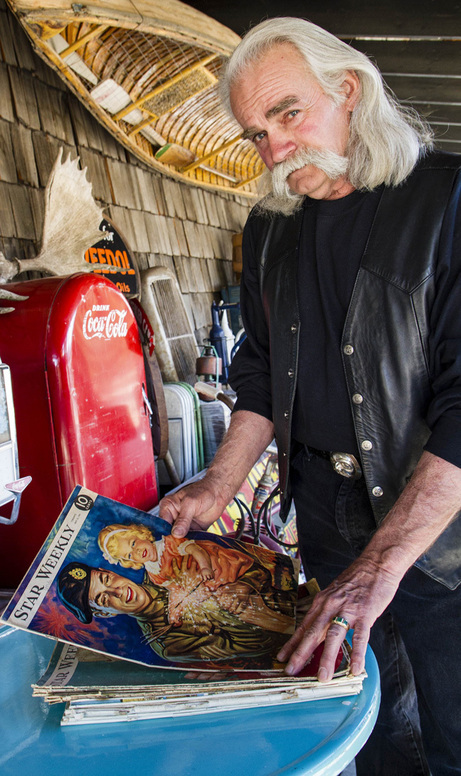 After reading about my love for the old Star Weekly magazine, a local collector of all things vintage named Ken Hatt lent me eight original wartime issues for my reading pleasure! Here's a peek inside. These are collectible because the Toronto Star never kept copies of its own magazine, and the only existing copies are in the hands of private collectors. You can read my previous post by clicking: Star Weekly At War. You can also view my collection of Star Weekly covers; I'm adding one almost every week. Since I’ve only seen covers pasted into my mother’s scrapbook, it was great fun to comb through photographs inside. 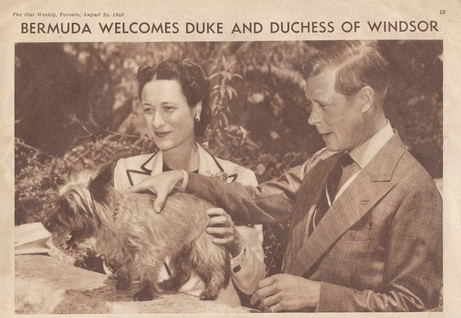 There are no articles, just photos that captured popular culture back then as well as Canada’s commitment to the war, which was of course on everyone’s mind. Here are some examples of what those pages revealed. The war-related photography was an unabashed attempt to boost morale. 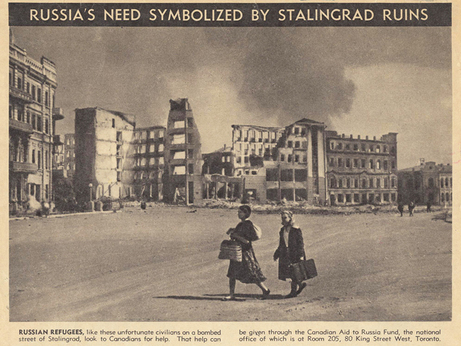 This wasn’t considered propaganda or bad journalism, but rather the Toronto Star's contribution to defeating the Nazis. 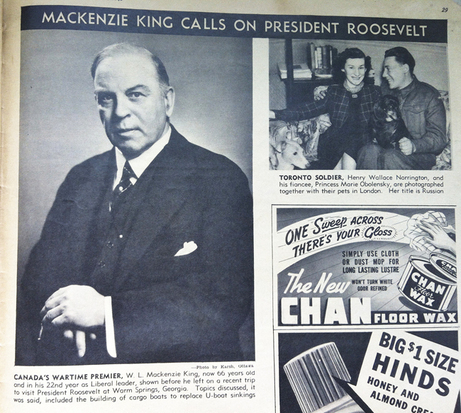 The country was solidly behind Prime Minister Mackenzie King, a Liberal who held that office for a total of twenty-two years, the longest-serving prime minister in Canadian history. He was a stereotypical Canadian in that he lacked a certain charisma, shall we say, and was even a tad nutty, but he got the job done. Here’s a rather nice portrait of him from May 3, 1942. 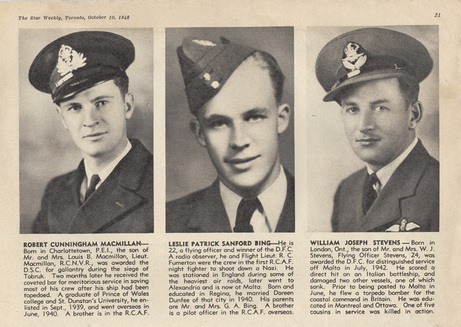 The Star Weekly published, almost every week, about a dozen photographs of Canadians who received medals for bravery in battle. Since these eight issues were all published before 1944, I wonder how many of these brave young men survived until the war ended in May 1945. Of course, we had our own celebrities. 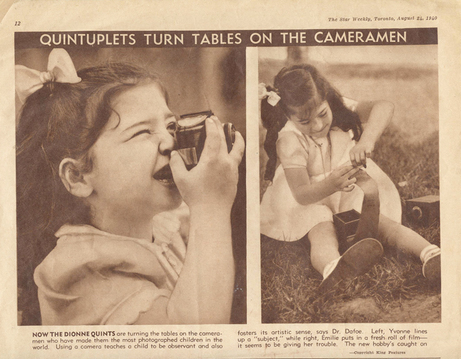 The Dionne quintuplets, born in Ontario in 1934, were the first known quintuplets in history to survive. For the next nine years these five identical little girls were made wards of the King, and turned into a tourist attraction in Ontario. They were photographed at every turn, and later claimed that their lives had been ruined by publicity. The Canadian government did everything in its power to solicit public donations for the war effort, through Victory Bonds. It even resorted to laying a guilt trip on the citizens left behind! 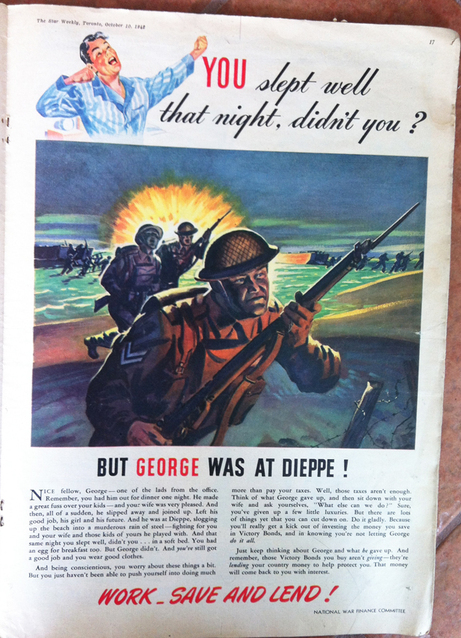 Dieppe was where the disastrous raid by 5,000 Canadians took place on the well-defended beaches of France, resulting in thousands of casualties (while you were sleeping soundly in your peaceful bed back home). Our wartime ally Russia suffered terribly. In the Battle of Stalingrad, one of the bloodiest in history, a combined one million Germans and Russians died, and millions more were injured. 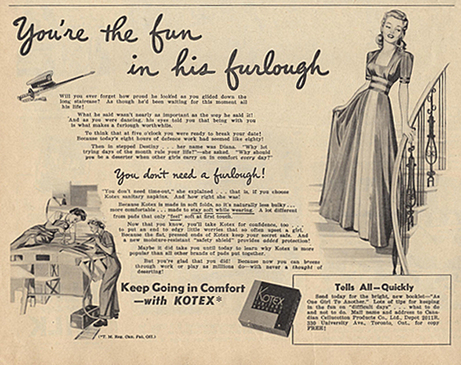 Advertisers naturally made hay out of the war effort. Practically every purchase was somehow tied into helping the Allies win the war, or support the boys overseas. 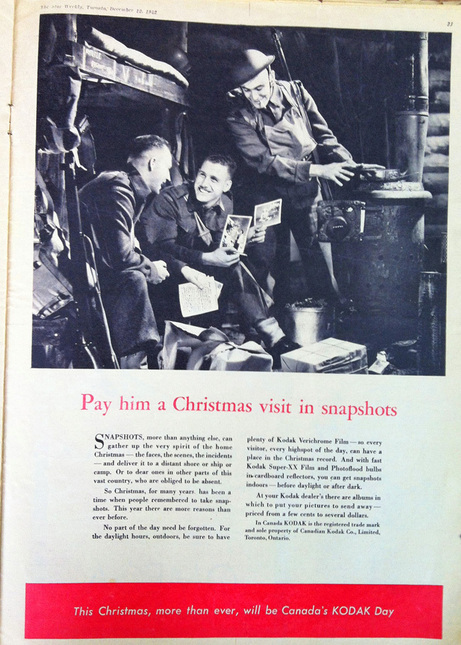 Here’s one explaining that the serviceman’s Christmas will be brighter if he gets Kodak snapshots from home. 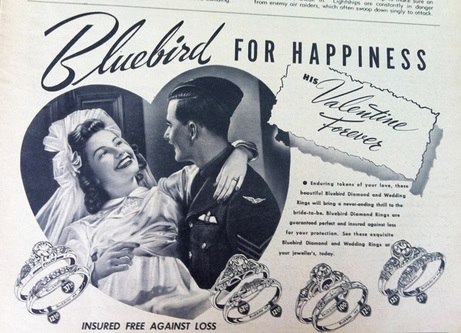 Since there were so many romances and weddings in wartime, the magazine’s issues are filled with advertisements for diamond engagement rings. The economy was booming, and people were getting good wages after the long years of the depression. 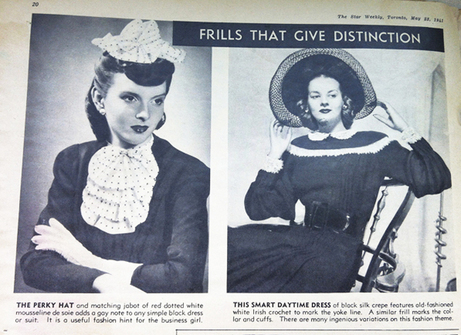 Every issue contained a fashion section, showing what the stylish women were wearing. This caption reads: “The perky hat and matching jabot of red dotted white mousseline de soie adds a gay note to any simple black dress or suit. It is a useful fashion hint for the business girl.” Since more women began to work outside the home during wartime, they also had more buying power. However, Canada no longer had a free market economy. During the war, the entire country was under the control of the Wartime Prices and Trade Board, which set everyone's wages as well as the prices that could be charged for anything and everything. 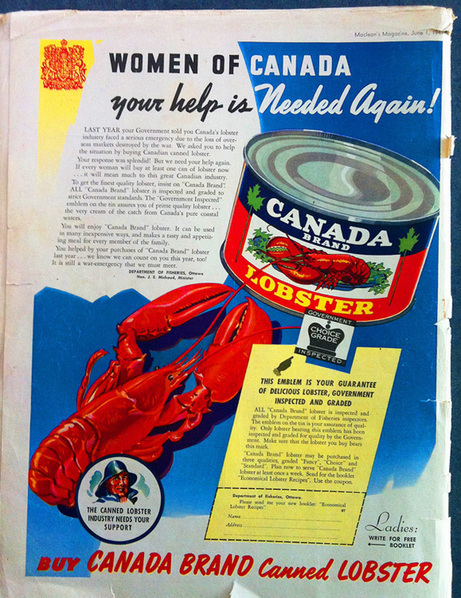 Here is a second wartime appeal to the women of Canada to save the Maritime lobster industry by buying more canned lobster! A free recipe booklet was also available, in case you didn’t know what to do with your lobster. Most prairie women probably didn’t. As well as wartime photos and advertising, there was the usual fluff. 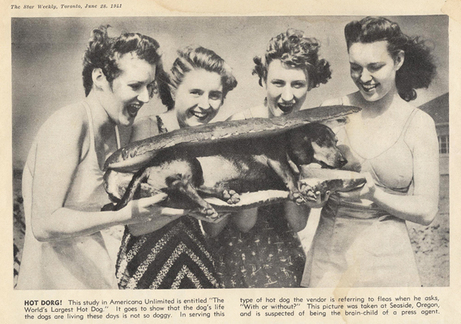 Here’s a photo of “The World’s Largest Hot Dog” from Seaside, Oregon. The poor dog looks distinctly unhappy. 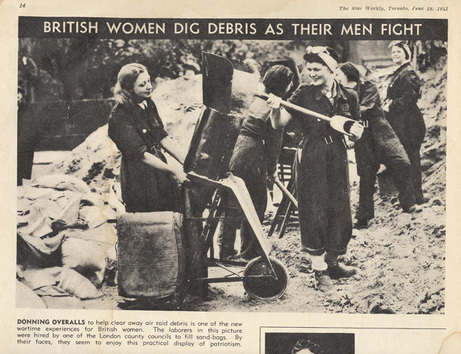 Women were making a huge contribution to the war effort and asserting themselves in all kinds of ways. But there was also a concerted effort to portray them as no less feminine, always pretty and smiling in spite of their masculine occupations. 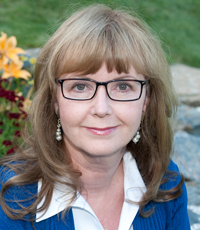 Canadian women, too, performed many jobs left vacant by the men. 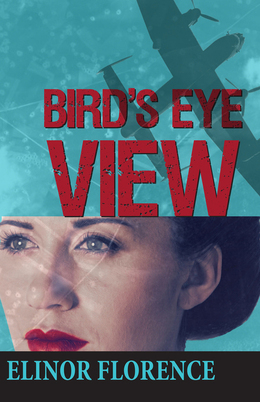 They filled factories and produced military equipment and supplies. 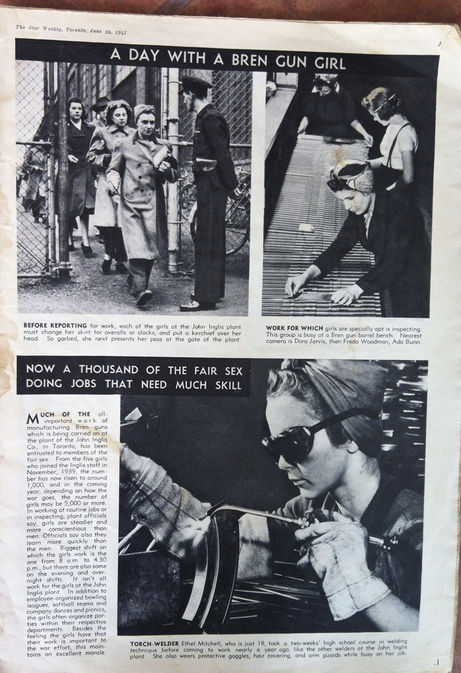 They often became known as “Rosie the Riveter” or “Bomb Girls.” Here’s one of a three-page spread in the June 28, 1941 issue showing a day in the life of a Bren Gun Girl, manufacturing machine guns. Thanks a lot, Ken, for letting me flip through the pages of time! 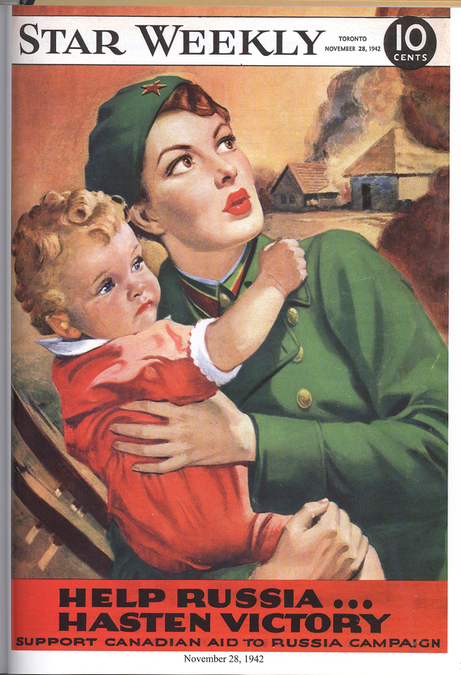 This cover image dated November 28, 1942 shows a Russian woman in uniform saving a child, perhaps her own, while a village burns in the background. To see all the Star Weekly covers posted to date under one heading, click Star Weekly at War and scroll to the bottom. I will add a new cover to the collection almost every week.